A mountain species of central Europe, occasionally established as an escape from cultivation along roadsides, edges of forests, and other disturbed places. The oldest collections date from 1946, from Kent Co. and Mackinac Island (Mackinac Co.). 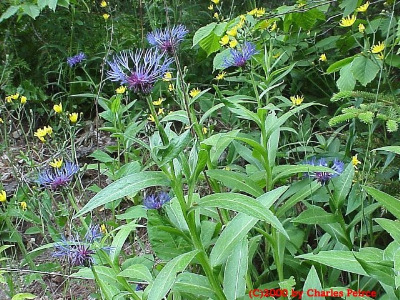 This is a very colorful species, with its large heads of deep blue flowers and phyllaries trimmed in black. MICHIGAN FLORA ONLINE. A. A. Reznicek, E. G. Voss, & B. S. Walters. February 2011. University of Michigan. Web. 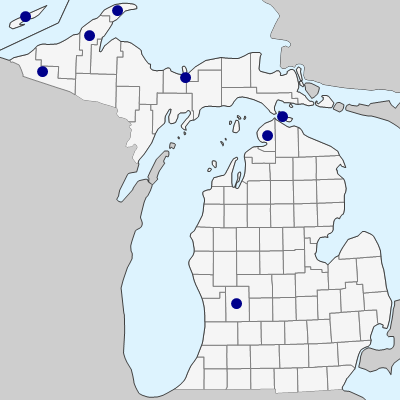 April 21, 2019. https://michiganflora.net/species.aspx?id=273.